As I was growing up and became fond of trains, I fell in love with a railroad that I wish I could have had the chance to experience. The Denver & Rio Grande Western Railroad was a wonderful railroad that connected the cities of Denver, Colorado and Salt Lake City, Utah. The railroad conquered many challenges, one of which was the Rocky Mountains. 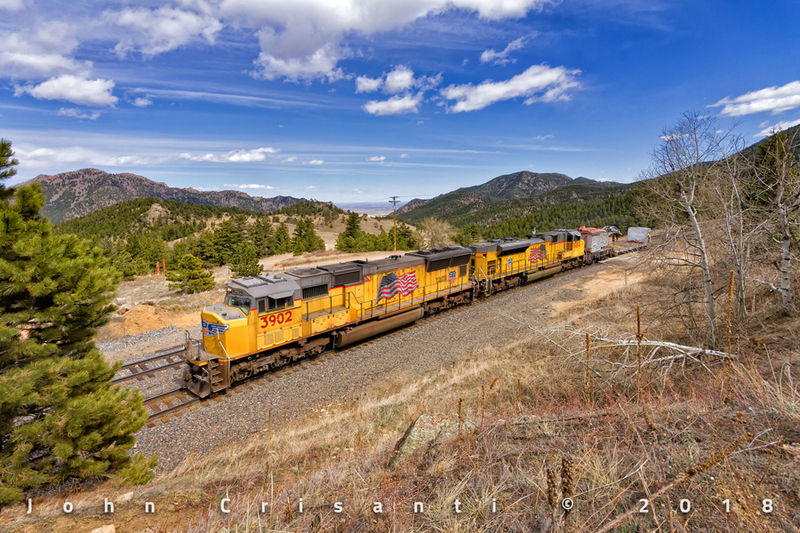 As the railroad’s slogan goes, “Mainline Thru the Rockies”. The railroad was a class act and lived by known names of services it provided such as the Rail Blazer and California Zephyr (later Rio Grande Zephyr). 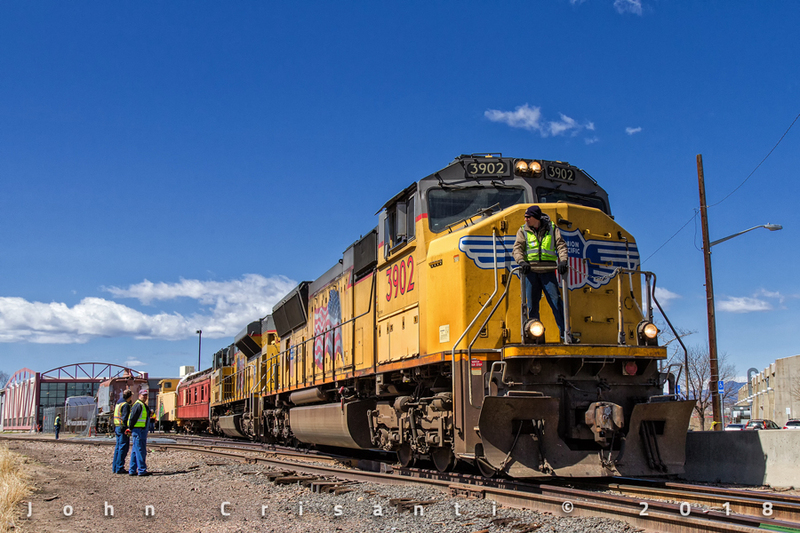 In 1989, the Rio Grande became part of the Southern Pacific and by 1996, the end of an era had been written as Union Pacific would be taking over its footsteps. Over the past couple of decades, any signs of the Rio Grande had started fading away into history books and all started becoming a memory. 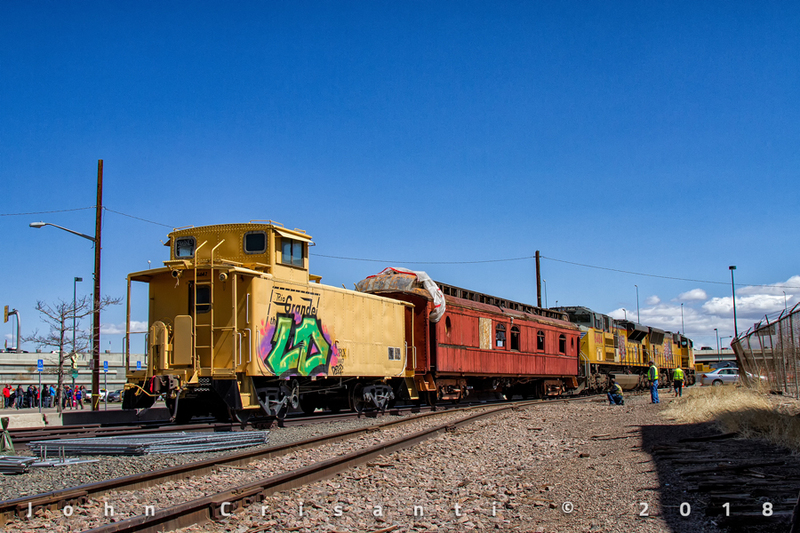 Equipment such as locomotives, rail cars, and other relics have been erased by repaints and scrapping. However, some of the railroad’s relics have been preserved to keep the memory alive. Examples as such include DRGW SD40T-2 number 5371 that has been preserved at the railroad museum in Ogden, Utah and DRGW GP30 number 3006 that was recently moved to its new home at the Forney Transportation Museum in Denver, Colorado. Ed Dickens (Senior Manager of Heritage Operations) and the owner of the equipment discuss the plans on how the move will take place to its new home in Granby. 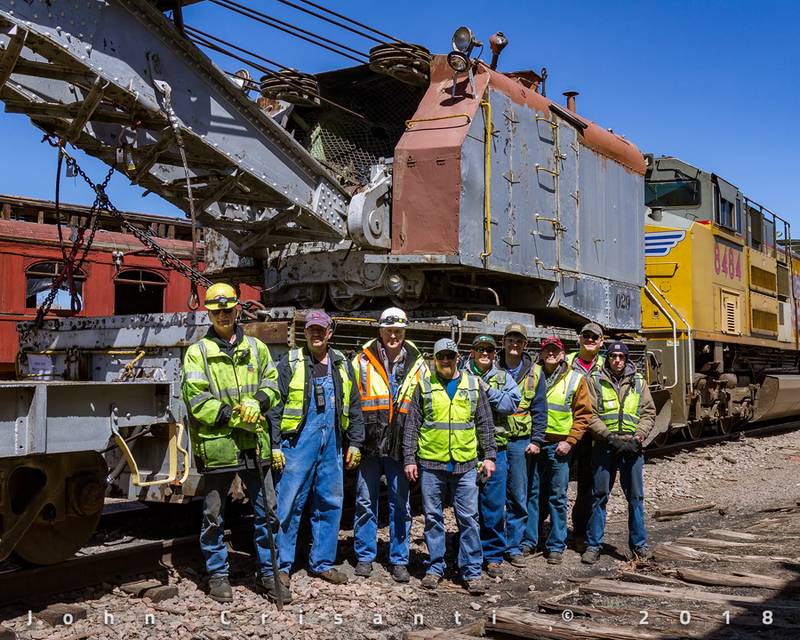 On April 14, 2018, with the special help of the Union Pacific Railroad, a former Denver & Salt Lake and its Rio Grande boom car was saved from scrapped and moved from Denver to its new home, the Moffat Road Railroad Museum in Granby, Colorado. 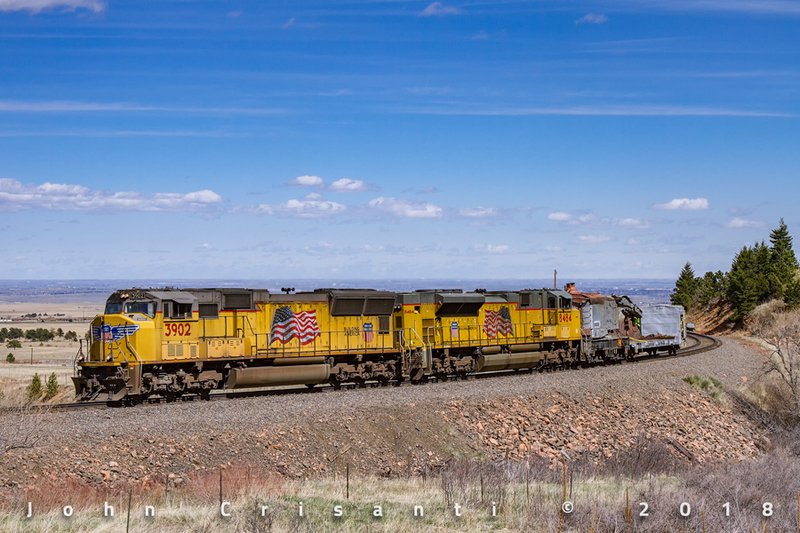 The Union Pacific with the help of Ed Dickens (Senior Manager of Heritage Operations) and his crew transported the equipment with an SD70M and an SD70ACe. 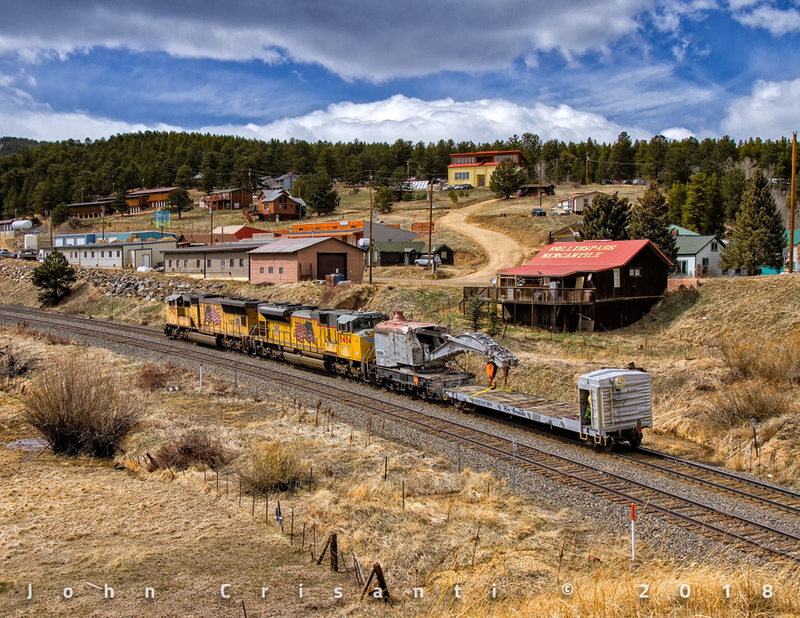 It traveled over home rails along the Moffat Tunnel Subdivision from Denver to Granby. The owner of the equipment plans on restoring the steam crane to operational condition and use it for demonstration purposes. 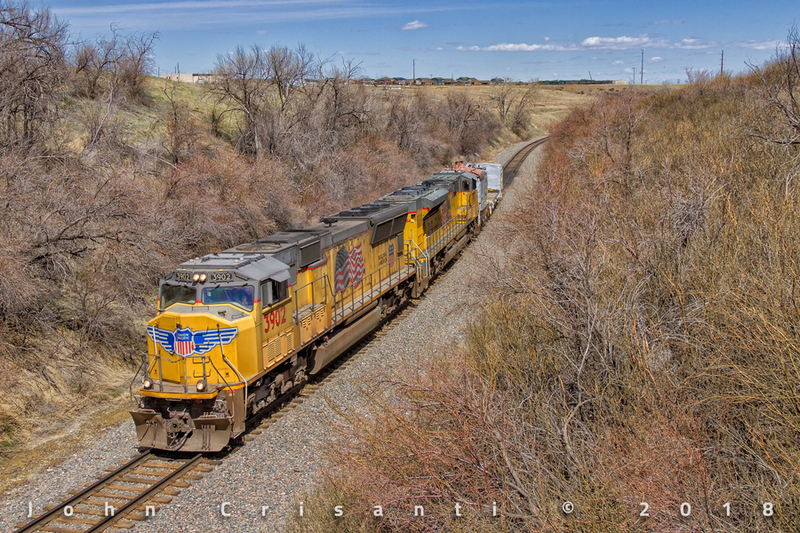 Union Pacific SD70M No. 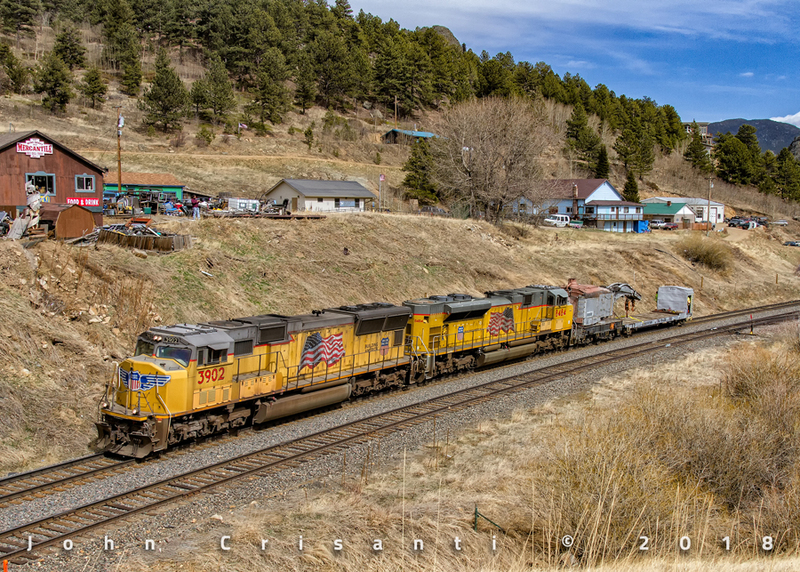 3902 and SD70ACe No. 8484 switch out an old wooden coach and Rio Grande caboose at the Forney Transportation Museum in Denver in order to pick up the crane and boom car. Both UP motors begins to shove back the old wooden coach and Rio Grande caboose onto a track to couple onto the crane and boom car. The 120-ton steam crane was built for the Denver & Salt Lake Railroad in 1913 by Industrial Works in Bay City, Michigan. It was originally numbered 10300 and it played many roles in clearing up derailments and wrecks across the railroad. However, it played a big role maintaining the railroad at the Continental Divide along Corona (Rollins) Pass before the Moffat Tunnel was constructed. It was in service for over 75 years. This steam crane is considered “extremely rare” because it is still in its “as built” condition. Along with the steam crane, its companion, DRGW Derrick Blocking and Truck Car Number X-3317 was also moved to its new home in Granby. The car was built in 1951 for use in the railroad's maintenance-of-way department from a boxcar that was built in 1930. 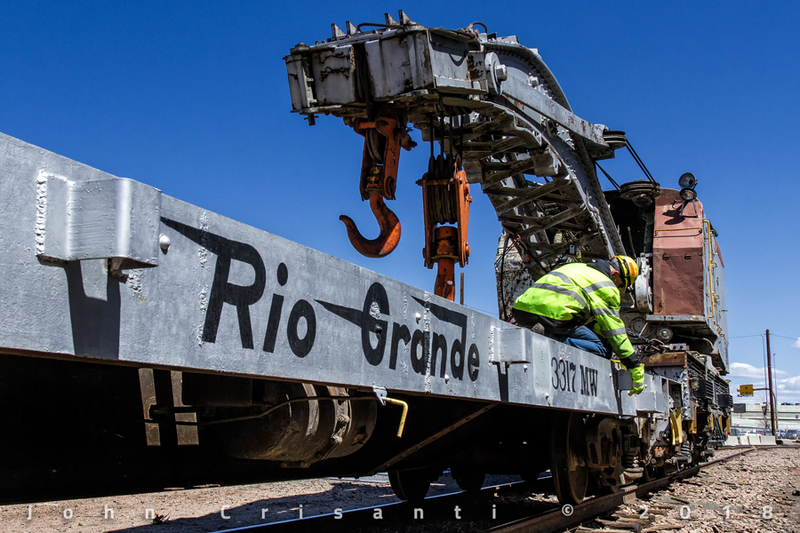 The car carried replacement wheelsets, or trucks, to the site of train derailments and wrecks that occurred across the Rio Grande system. 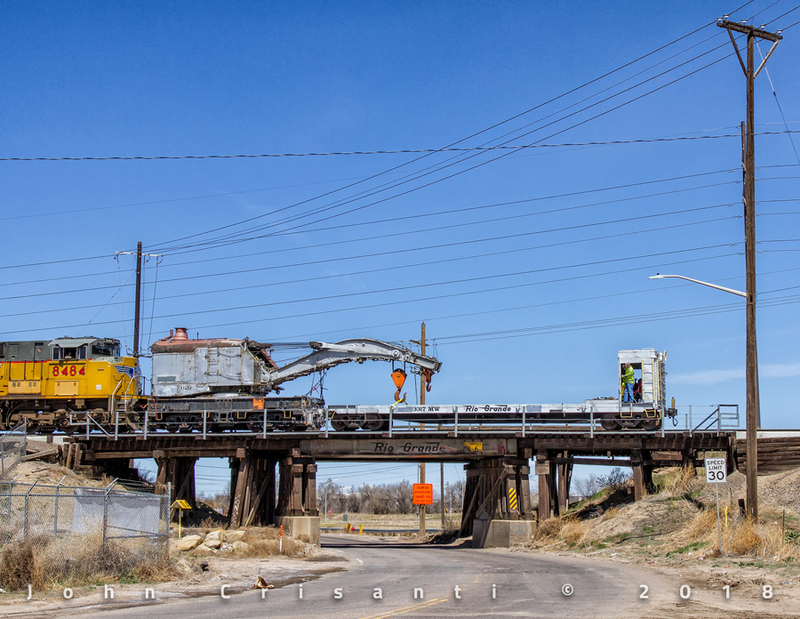 It operated with other maintenance-of-way equipment as part of the Derrick Work Train. Ted Schulte straps down the boom hooks onto the Derrick car so they do not move while enroute. Ted Schulte, Brad Eggeman, Ed Dickens, Unknown (Engineer), Jimmy Thompson, Nick Valdez, Ken Valdez, Unknown (Conductor), Unknown (Brakeman). For the past eight years, the city of Denver, Colorado has been without a tradition that has been part of the city for 69 years from 1940 - 2009. The Ski Train was a passenger service provided by the Denver & Rio Grande Western Railroad (D&RGW) between Denver and Winter Park along the Moffat Route. 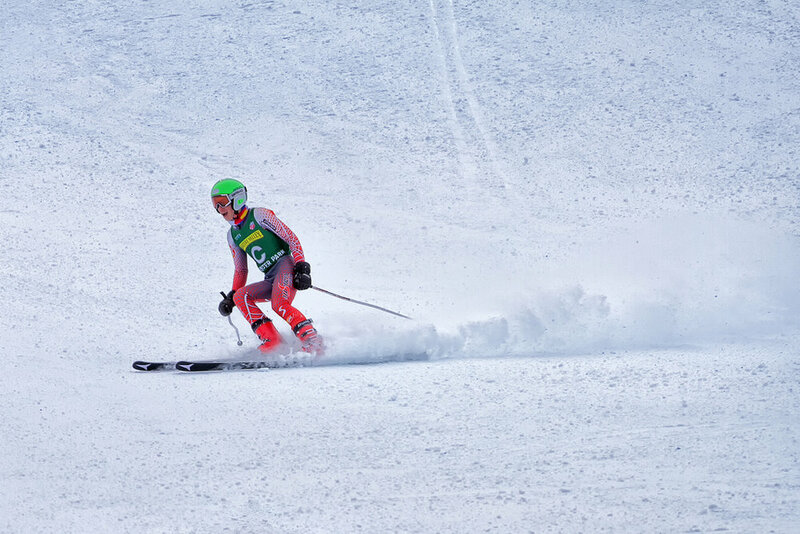 The train gave skiers and snowboarders the option to not have to drive up to the ski resort. In 1988, the service was sold off to the Ansco Investment Company, which continued to operate the service for the next two decades until 2009. 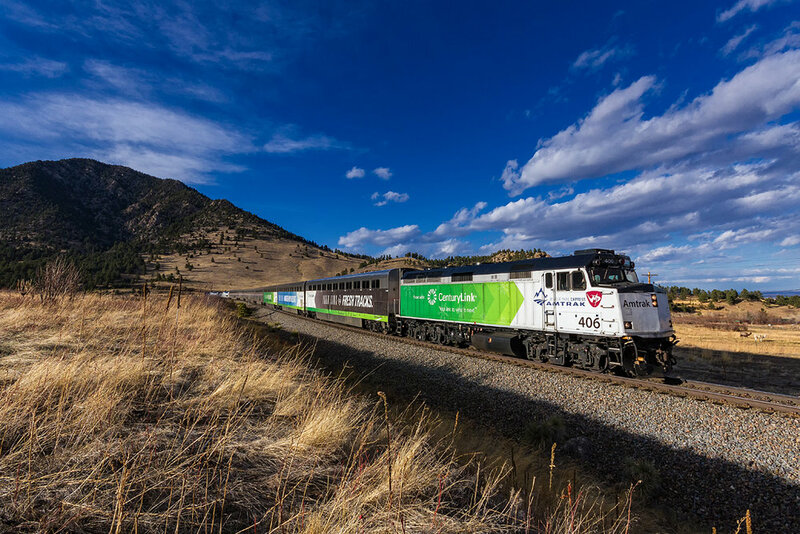 During that same year, Iowa Pacific Holdings, a Chicago-based company attempted to revive the service but was unable to due to insurance issues. 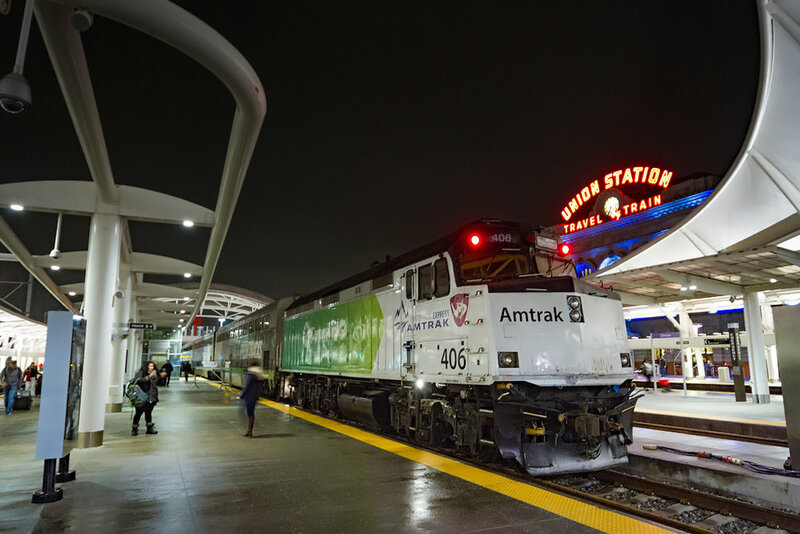 In March 2015, Amtrak with the help of the Union Pacific Railroad (UP) revived the Ski Train for one weekend. The demand and popularity of the return of the Ski Train for one weekend were so high, in August 2016, Amtrak announced that with the help of the UP and Winter Park Ski Resort, it will bring back service between Denver and Winter Park from January to March 2017. 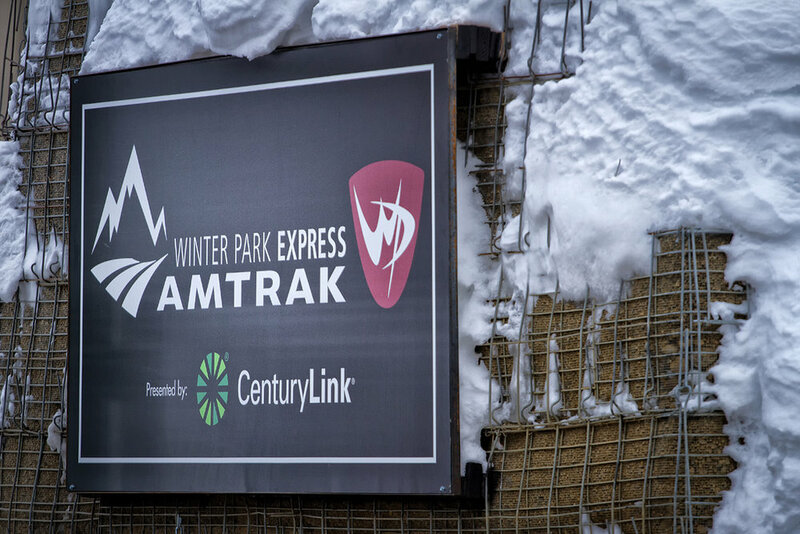 After a successful season going beyond Amtrak's expectations, the Ski Train named the "Winter Park Express" plans to return again for the 2018 season.